Senior citizen falls can be prevented just by doing a few light exercises each day. 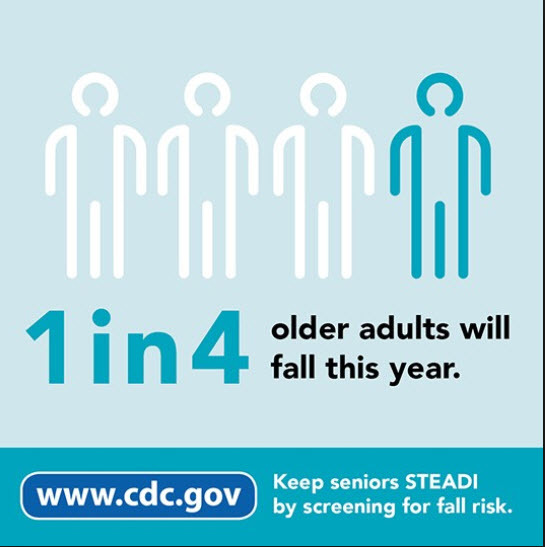 Unfortunately, each year, 2 million seniors go to emergency rooms to treat fall-related injuries. Even a simple fall to an aged person, can cause a serious fracture of the arm, hand, ankle, or hip. The key to fall prevention is staying active. And, the best part is it’s easy. The recommended exercises improve balance, increase strength, and prevent falls that can result in permanent disability. Walking and climbing stairs will also improve cardiovascular function and slow bone from osteoporosis. Balance exercises will help prevent falls and avoid disabilities. Balance exercises are easy to do and take just a few short minutes a day. No special equipment is necessary. Have eyes and hearing tested often. Always wear glasses if necessary. The same goes for hearing aids. Find out about the side effects of any medicine. If a drug makes you sleepy or dizzy, tell your doctor or pharmacist. Limit the amount of alcohol. Even a small amount can affect balance and reflexes and result in a serious fall. Stand up slowly after eating, lying down, or sitting. Getting up too quickly can cause blood pressure to drop, which can make you feel faint.